As the experts in dental development, pediatric dentists are uniquely qualified to assess your child’s changing dental needs and protect your child’s dental future. A pediatric dentist spends an additional year after dental school concentrating in pediatric dental issues and methods. What can we expect to happen at our child's first dental visit? A child’s first visit to the dentist can be daunting, but that is why you have chosen Drs. Carey and Jones for your child’s first dental experience! We are the best at what we do!! Upon arriving you may have some paperwork to fill out as you are greeted at the front desk. We typically send this home in advance to expedite your appointment. Once you are called back, an assistant will accompany you and your child to the clinical side of the office. She will introduce you and your child to Dr. Carey. While Dr. Carey spends some time educating the parent on dental hygiene and also a nutritional diet for your child, the assistant has taken your child for a lesson on brushing correctly. Our big not-so-scary dinosaur has some dirty teeth and they need to be brushed! Don’t worry – he’s harmless – and stuffed! After showing your child how to brush correctly your child will sit in the dental chair and be introduced to the instruments and equipment used to clean teeth. Once their teeth are sparkling white, Dr. Carey will perform a brief exam to be sure everything is in order. He will follow up with parents and indicate a return visit soon or a routine visit in six months. That’s it! Lots of fun for the children, and an informative visit with the doctor. And, oh yes, your child receives a spiffy zippered dental kit with a new toothbrush, 2 minute timer and other dental items. Lastly, they get a trip to the goodie table to pick out stickers, pencils or play tattoos. What causes decay in infant's teeth? The seemingly harmless practice of using a bottle as a pacifier can cause serious decay to your baby’s front teeth and may have lasting dental consequences. Don’t let your baby sleep with nursing bottles filled with milk, juice or soda. Baby teeth are important to the child’s future dental health. If cavities form in baby teeth, they can lead to problems which may affect the permanent teeth later. Pediatric dentists advise parents to start good dental care at home. It is never too early to start caring for your child’s teeth. From birth until the age of six or seven months, when the primary teeth start to emerge, use a damp washcloth or cotton gauze to gently clean your child’s gums after every feeding. This not only prevents the buildup of harmful bacteria and reduces discomfort from teething, but also helps your child become accustomed to future dental hygiene routines. When the primary teeth begin to come in, wipe or brush them at least twice a day. The first dental visit should occur around 12 months of age. Sugar, whether high or low amounts, can start the tooth decay process. The cavity causing bacteria in the mouth can’t tell the difference between a small or large amount of sugar. Even low sugar foods such as milk, fruits and even vegetables can start the tooth decay process. Cooked starches — potato chips, corn flakes, crackers, bread, pasta — have decay causing power equal to sugars. Research today shows that almost every meal or snack can lead to acid attacks on your child’s teeth. Does my child need to completely avoid sticky sweets? How sticky a food feels when you chew it does not relate to how long that food remains in the mouth. A caramel feels sticky, but it clears the mouth in minutes. A potato chip doesn’t feel sticky, but it can remain in the mouth for hours. The frequency of snacks is more important than the type of snack. You can choose snacks based upon nutritional value and your child’s preferences, as long as you limit the number of snacks and encourage good oral hygiene by brushing at least twice a day with fluoride toothpaste. Are there foods that have anti-cavity power? Certain cheeses do not promote tooth decay and can help heal early injury to tooth enamel. Other “friendly” foods are chocolate, licorice and peanuts. As a child’s teeth form, fluoride is incorporated into the enamel, making the teeth permanently more resistant to cavity. Studies show children raised with fluoridated drinking water have 65% fewer cavities than those who grew up without fluoridated water. Fluoride actually heals tiny breaks in tooth enamel and cures small cavities. When should my child see Drs. Carey and Jones for their first dental visit? Regular dental exams, just like physical examinations, are an important part of your child’s overall health care program. The American Dental Association recommendsyour child’s first dental visit take place between the ages of 12 and 18 months or earlier if problems arise. We also encourage you to contact us should you need counseling regarding hygiene or dental care of your infant. Typically most children come to us between the ages of 2 and 3, but we are always happy to see your child for their first visit when you think they are ready, or if they are having an early dental issue. 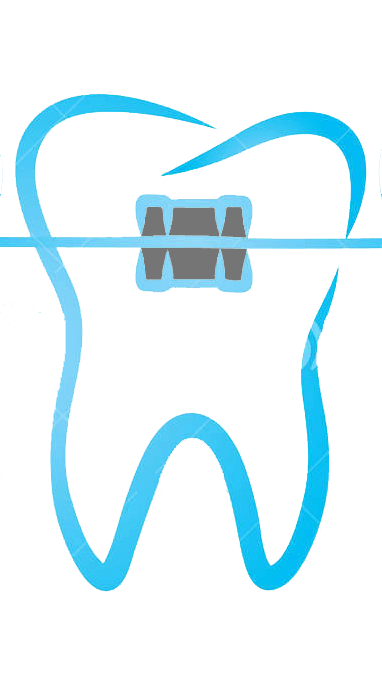 Is early orthodontic treatment necessary? As pediatric dentists watch children grow they can identify malocclusion right away and actively intervene to guide the teeth as they emerge in the mouth. Drs. 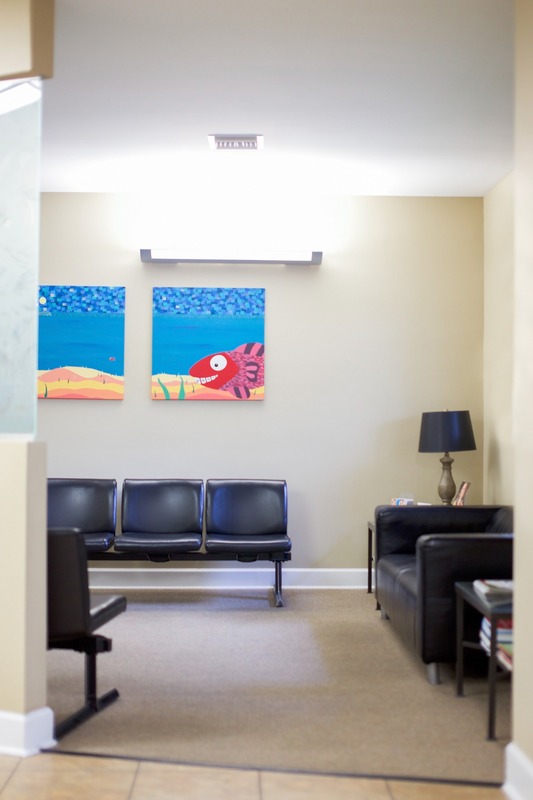 Carey and Jones’ office is unique in that we have an “in house” board certified orthdontist, Dr. Jeffrey Jones. We routinely include an orthodontic screening at age 7 to determine the need for early intervention. Many times orthodontic treatment early on can prevent more extensive treatment later.